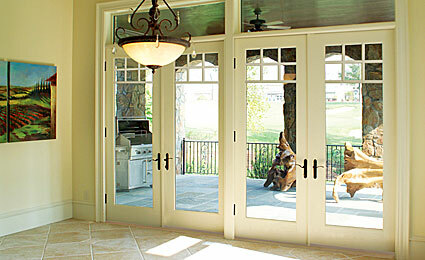 Get the look of fine painted wood and the strength of steel with a Smooth-Star French patio door. It’s an excellent value in a fiberglass patio door, made of rugged compression-molded fiberglass with deep detailed panels. This design creates beautiful shadows and contours on your patio door’s surface.